We’ll Buy Any Make, Any Model! New vehicle pricing includes all offers and incentives. Tax, Title and Tags not included in vehicle prices shown and must be paid by the purchaser. While great effort is made to ensure the accuracy of the information on this site, errors do occur so please verify information with a customer service rep. This is easily done by calling us at 714-660-2687 or by visiting us at the dealership. ***Not all images are of the actual vehicle. We display both stock and actual vehicle images. *Special APR offers valid on select new and unregistered 2019 Honda models from December 12, 2018 through January 2, 2019, to well qualified buyers on approved credit by Honda Financial Services through participating dealers. Must take new retail delivery on vehicle from dealer stock by January 2, 2019. Not all buyers will qualify. Higher rates apply for buyers with lower credit ratings. No-down-payment financing may be available for well-qualified buyers. Actual down payment may vary. Example for 2019 Pilot: 0.9% for 36 months financing at $28.16 a month for every $1,000.00 financed. Example for 2018 Accord: 1.9% for 36 months financing at $28.60 a month for every $1,000.00 financed. Dealer to set actual prices. See dealer for full details. 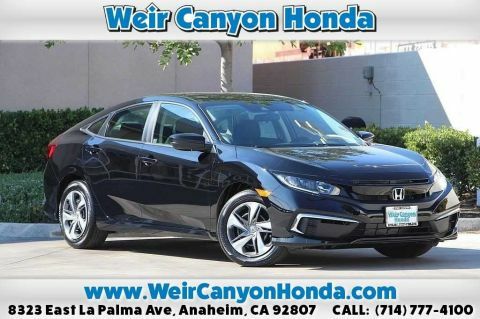 Welcome to the official website of Weir Canyon Honda (We also have a blog!). 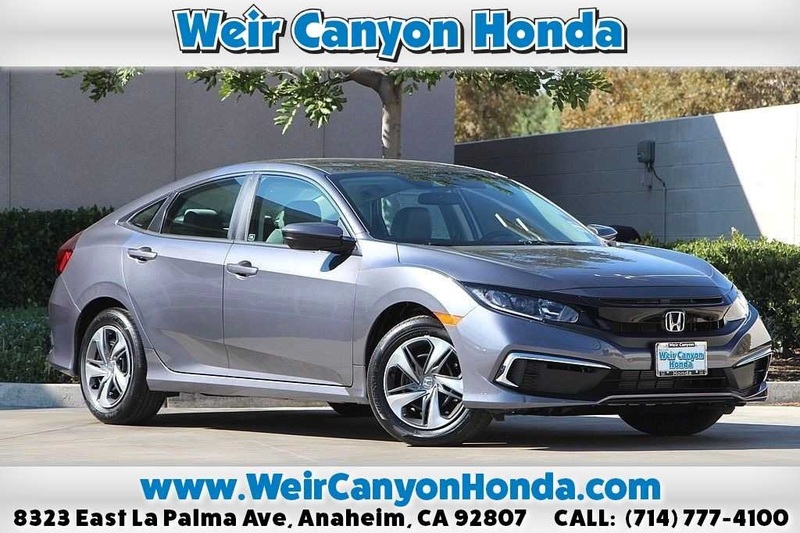 As your Orange County Honda Dealership, we want you to be as comfortable as possible whenever you visit our dealership whether it’s to buy or lease a new Honda, shop for a used or Certified Pre-Owned Honda, have your Honda repaired or maintained in Service, or order Honda parts. We go out of our way to provide you with the best customer service we can. Weir Canyon Honda	33.8757406, -117.7512188.